It’s always a bit nerve-wracking when you turn the scientific instruments on for the first time after they’ve been turned off and transported half-way round the world, and we’ve had a few problems that we’ve had to fix including leaky regulators on John’s Hydrogen gas cylinder (Norwegian fittings are different to the UK ones), and a loose fuse (tricky to find) on Frances’s GC/MS Peltier cold trap controller. 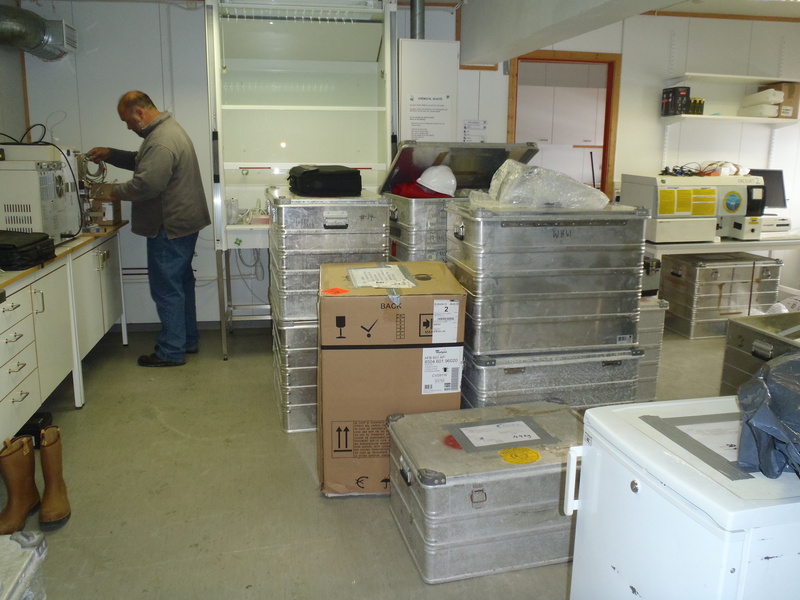 Fingers crossed that everything will work smoothly from now on as the mesocosm experiment will begin in a few days time (the mesocosms are being placed into the fjord as I write!) 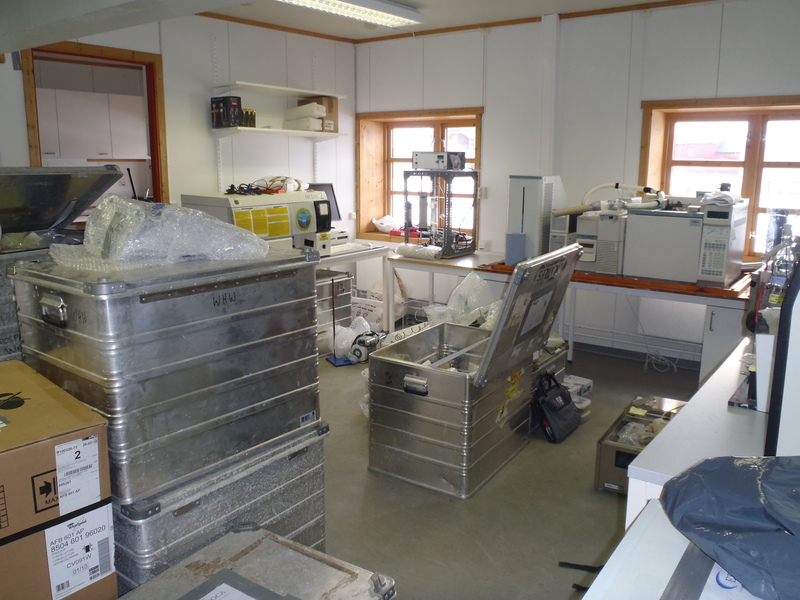 and there are still calibrations to do before we can start taking our first measurements of the trace gases in the fjord water. However if it all gets too much we only have to look out of the window to calm our minds. As well as the beautiful snowy landscape there is lots of wildlife that we are lucky to have close contact with. Frances usually keeps us updated with all the comings and goings of the birds that are around (like the Snow Bunting earlier today that looked like it had stripy leggings on because it had been ringed with multicoloured tags), but when I arrived at the lab this morning there was a new resident. 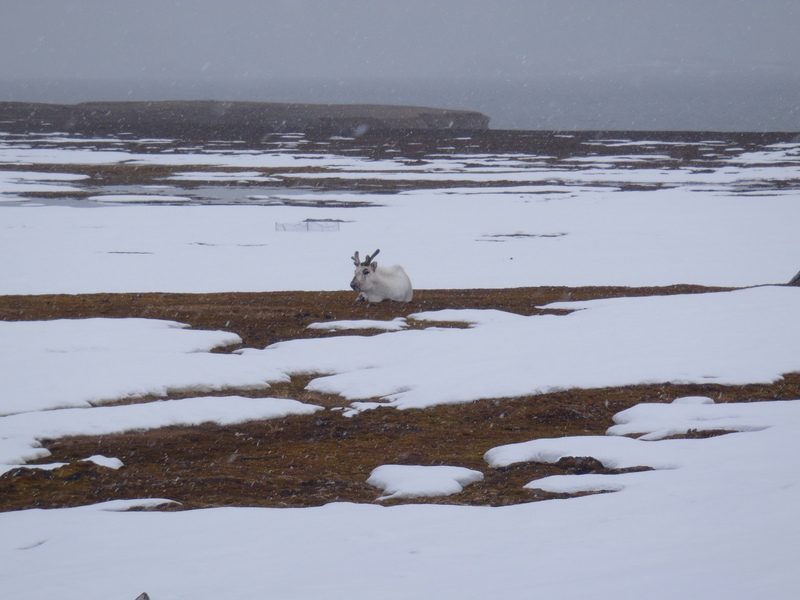 A reindeer was sitting on a grassy patch just in front of the window. 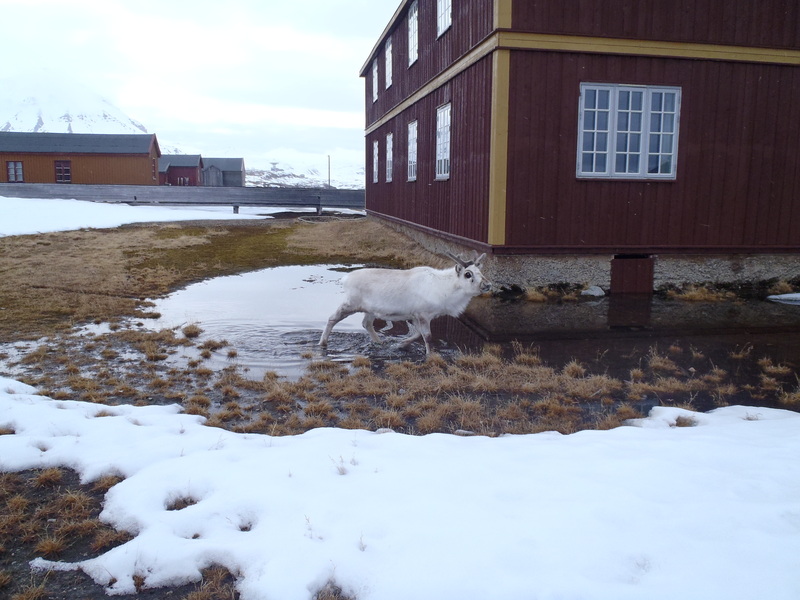 He stayed there all morning and apparently this is a common occurrence in Ny Alesund, but to us it was an exciting distraction from the unpacking and lab preparations. Hopefully he’ll keep us company for the next few weeks; it’s a bit of a contrast to the seagulls that we typically see out of our lab windows back in Plymouth, but then life here is very different.